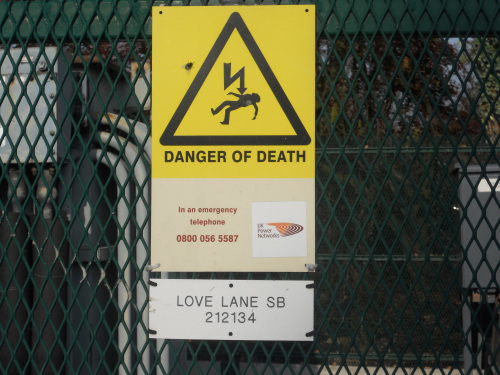 One of last year’s ‘DANGER OF DEATH’ walks as the electricity sub-station in Love Lane is scrutinised by walkers on this guided tour of…..electricity substations in South Norwood. Notice the gentleman on the left with his large divining rod, These walks are ever more popular as people crave a new and exciting experience. 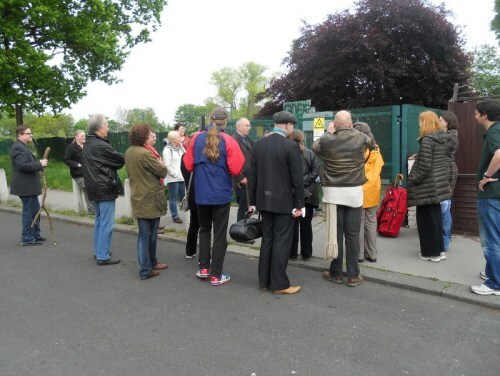 The walk visits 21 electricity substations, two gas installations and a sewage works…..all highly dangerous. Book now for next one and laugh in the face of death.